Tomorrow I will lead my last seminar at the University of Manchester, where I have taught on and off since 2006 and have been attached to in various capacities for fourteen years. I am very much looking forward to starting my new job at the University of Derby but I always knew that this week would be a strange one. What I didn’t appreciate was just how much, in my last few weeks, I would take notice of and appreciate the fabric of the building in which History is based. 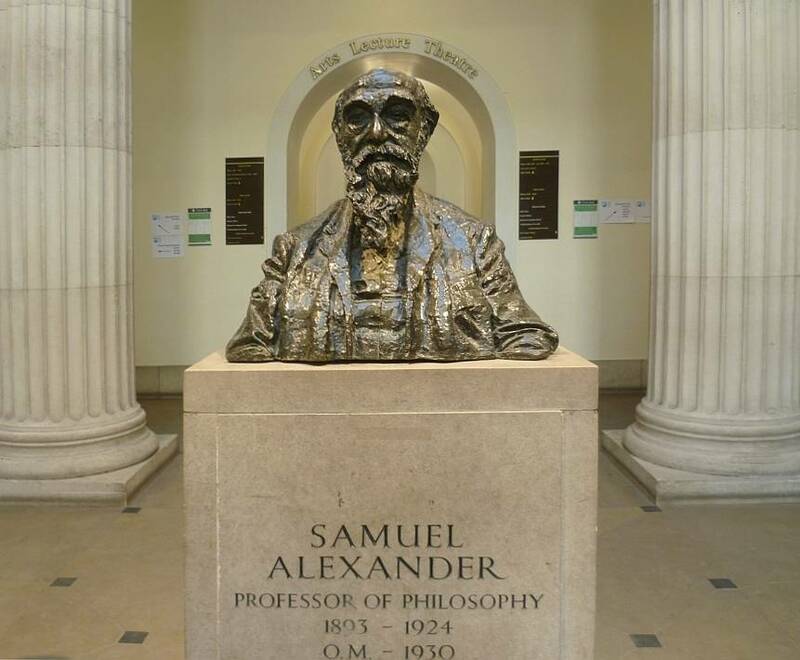 This building is now called Samuel Alexander, after the famous Manchester philosophy professor of the late-nineteenth and early twentieth century who did so much to promote the Faculty of Arts of this great ‘redbrick’ university (a handsome chap, too; see his bust, below). It’s funny how attached you can get to a building. I first entered this impressive foyer as a nervous eighteen-year-old in October 1999, a month later than my peers because I had transferred from another University (where, twelve years later, I got my first full-time lectureship and loved the department; funny how life turns out). Having not had the benefit of a tour of the building, I got lost. It would not be the last time. Every time I find a lost fresher in the corridor, looking like a rabbit in headlights, I remember that day very clearly. Apart from its name (of which it has had three in the time I’ve been here), the building has changed relatively little, while I have changed an awful lot. In this place, I have cried with laughter, frustration, anger, exhaustion and joy. I have cried in an impressive number of offices, including my own. A number of people have now cried on me, enough that the box of tissues in the office has proved an excellent investment. 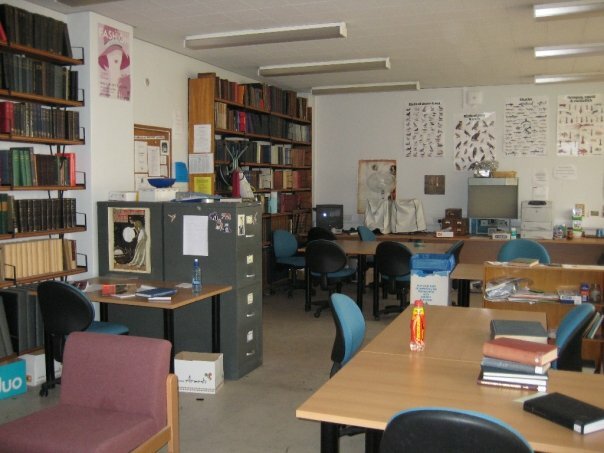 In these rooms, I have been lucky enough to enjoy the encouragement of a group of scholars – now colleagues and, in several cases, friends – who have had always had faith in me when I haven’t always deserved it. Here I have left rooms in huffs, with panic attacks and, on one momentous occasion, a doctorate. I have consumed a lot of cakes, most of them offerings to my ever-patient PhD supervisors to disguise a lack of work or to apologise for being a complete diva. In this building, I was once physically sick at the very thought of having to give a seminar presentation (as my former PhD supervisor seems to delight in telling nervous incoming PhD students …). Six or seven years later, I co-delivered my first impromptu lecture (without notes!) in its largest lecture theatre when the course convenor was stranded in Yorkshire snow. I grew up in this building and will miss it dearly. But I still get lost in it sometimes.